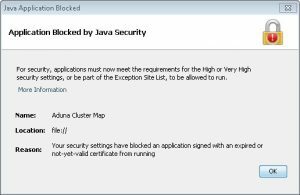 We have posted a new update to the VantagePoint script for Aduna Cluster Maps. You may download it from the location you download VP Scripts. 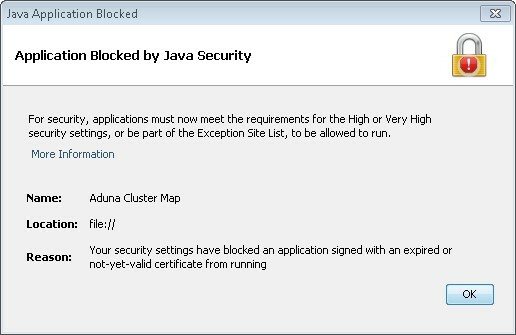 Java requires that our supporting jar files be periodically re-signed to ensure that they are safe for distribution. This period elapsed recently and we’ve had to re-sign those files. Those are included in the update. It’s also possible that in rare cases you may get an Aduna Map with no records for some/all items that should have them. This has also been fixed by regenerating the Key field used to match records to the mapped items. Now the macro checks that Java version 1.8 or higher is installed. Muchas gracias. No sabia como hacerlo. Es super sencillo. Mil gracias Juan T.